Seasons greetings all, welcome to the Two Wheeled Ronin Christmas Special. It’s not that Christmassy and pretty much only special to me but I hope you enjoy it none the less. They say everyone remembers their first time. She was tall, blonde and pretty comfortable to ride. I am, of course, talking about my first time on a motorcycle. (I say blonde, it was more of a yellow colour). As regular readers will know, I’m a bit of a novice when it comes to actually riding a motorbike but like every biker, I had to start somewhere. My journey begins at the NEC in Birmingham. 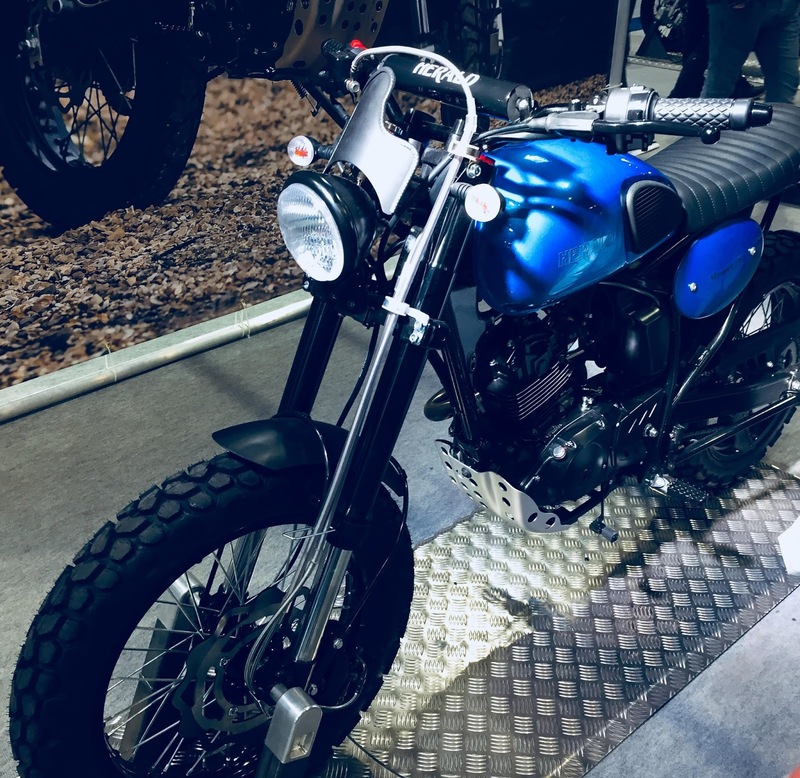 I was there for Motorcycle Live (Read my highlights here). As I said in that post, I visited the guys at “Get On”, who give the opportunity for non-riders to have go at riding a motorcycle for the very first time. So I thought I’d tell you a bit more about my experience. I arrived at my agreed time slot and get kitted out with a jacket that was slightly too small, a helmet that was slightly too big and gloves, that fit…the way gloves are supposed to fit. I joined one of the instructors there and five other non-riders. I was clearly the oldest person there, but I try not to let this bother me. The instructor asked if anyone had ridden a motorbike before. We all shook our heads. “Has anyone ridden a push bike?” A question I was surprised by. I happily said yes. I guess the basic foundations between bicycles and motorbikes are still there after all. He then asked if there was a particular model we would like to try. 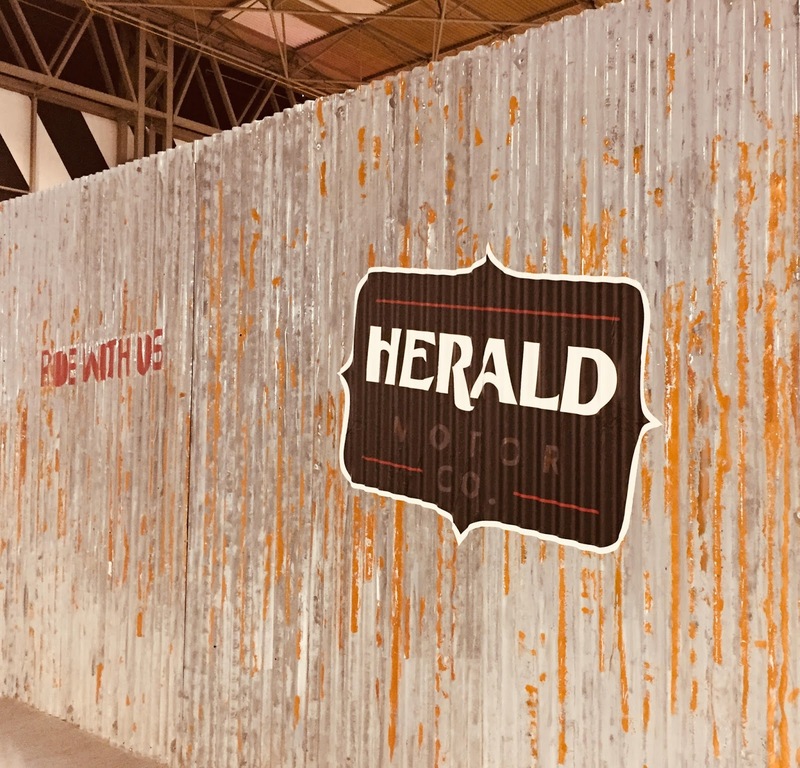 I had my eye on a bike from the new company, Herald. The Herald Motor Company are a relatively new company and I really like their bikes (check their site here). They have a vintage style with all the modern elements that you need. Unfortunately, the model I wanted to ride, Classic 125, was already taken. But they very kindly brought out another model for me to try, The Maverick 125. As I said, she was pretty tall, probably too tall for me, to be honest but a beauty none the less. First lesson, if you wear glasses (like me), take them off before you put your helmet on. Perhaps the most important lesson I will take away from today! As for the actual lesson, I really enjoyed it. The instructor went through a few of the basics, starting the engine, controlling the clutch and using the brakes. As it was the first lesson we only used the first gear. To begin with I just rode a few feet, without lifting my feet up (as instructed). But soon enough I was actually riding. Granted, it was only about 30ft, a couple of times up and down the hall and all in first gear, but it felt amazing. I would certainly recommend “Get On” to anyone who is curious about riding a motorcycle for the first time or even for people who have ridden before and are looking to get back into it. So where do I go from here? I honestly don’t know. Maybe a DSA next year…maybe. But one thing I do know is that this year I rode a motorcycle for the first time and I loved it.